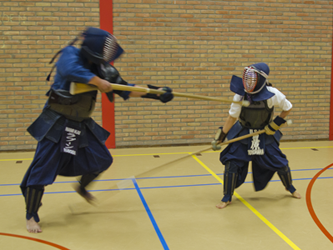 The martial art jukendo is based on bajonet fighting. 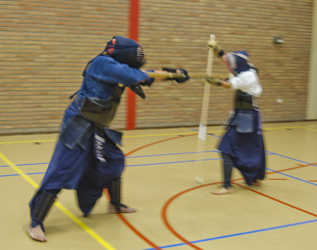 Just like kendo and naginata it is competitive in nature. The weapon that is used in this budo discipline is called a mokujû. This is a wooden replica of a rifle. 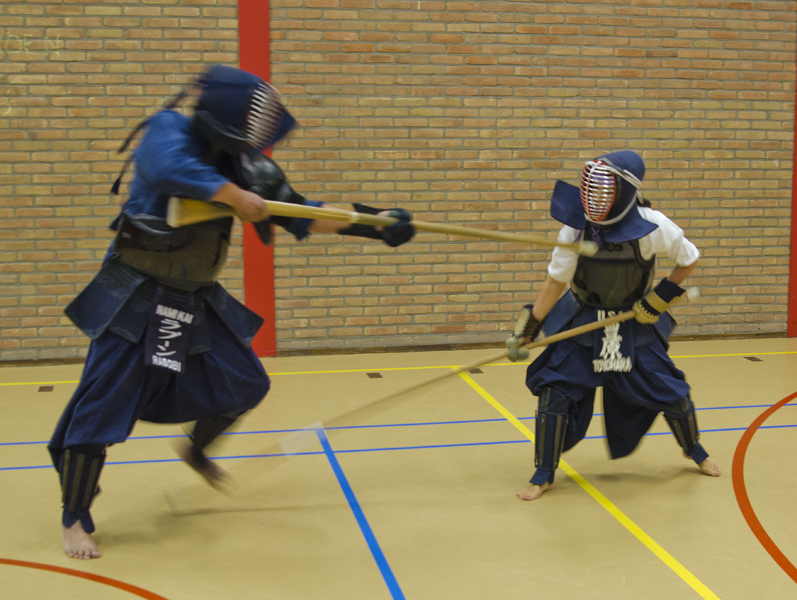 The only way of attacking in jukendo is through very powerful stabbing techniques (tsuki-waza). 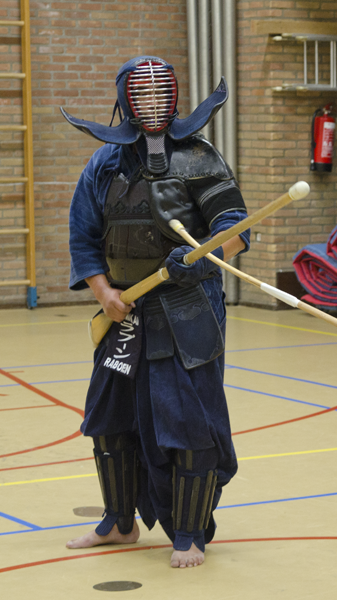 Practicioners will therefore wear a full body armor, just like in kendo and naginata. Because of the powerful stabbing attacks the armor has several reinforcements and and extra piece of schoulder armor (kata-ate). A point is only scored when a valid target is being hit with the right intention, energy and weapon angle. The retreating movement is also important. Valid targets are the wrist, chest, side of the chest, throat and shoulder. 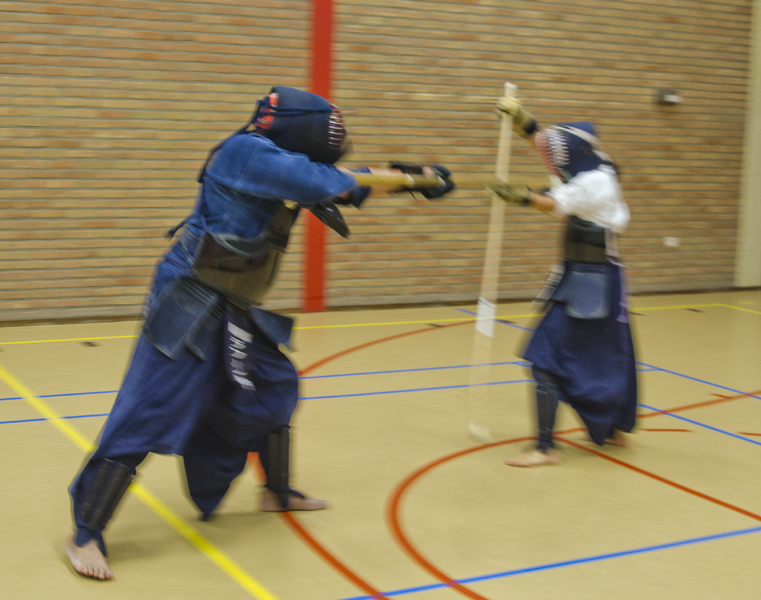 jukenjutsu. After the second world war the allies banned martial art practice in Japan for five years. The modern jukendo was developed after that. Nowadays the emphasis of jukendo is on etiquette, discipline and self development.